Buy Mont Rigaud here and save money versus purchasing from within our app via Apple or Google. It’s exactly the same guidebook, but offered at a lower price on rakkup.com. 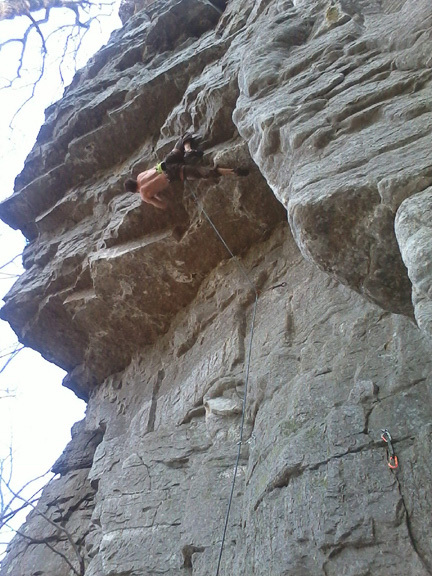 Climber on The Morning After, 5.8. 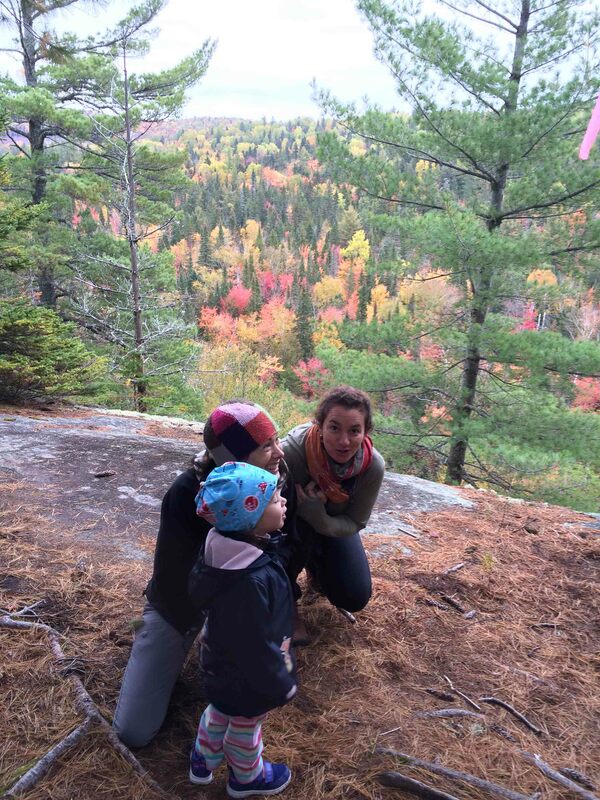 Mount Rigaud is a little hill on the outskirts of Montreal city. The hill has a small ski hill that is quite popular with area locals and beginners. 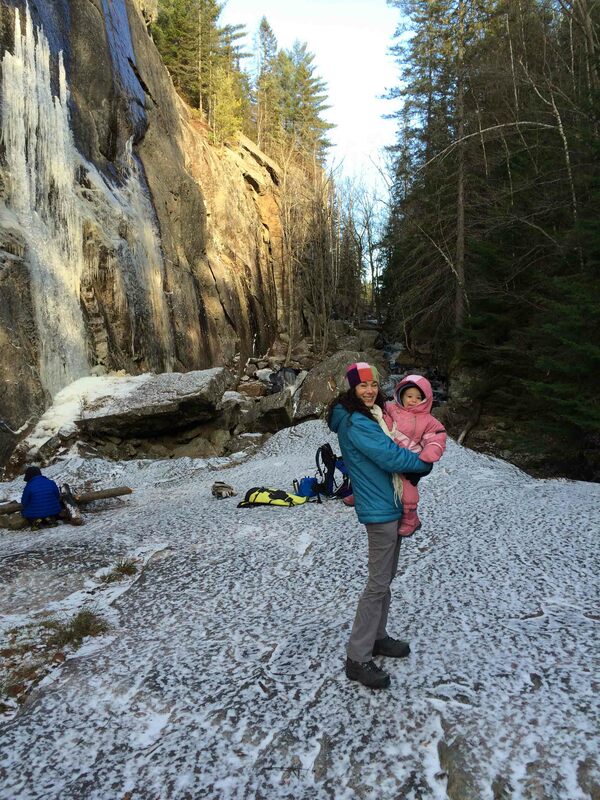 But what attracts climbers to Mount Rigaud isn’t the skiing! It’s the great little crag that sits on the top of the hill. 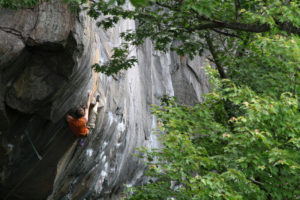 People have been climbing at Rigaud since the early 1970’s. The rock has a few cracks, but most of the climbing was done on top-rope. 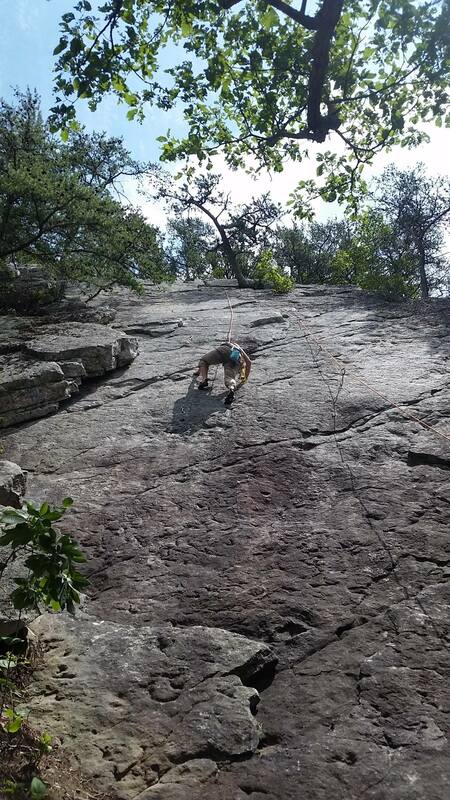 Actually, quite a few lines that are considered sport climbs today were done on trad gear in their heyday. Some of these were even done using pitons before nuts became common. 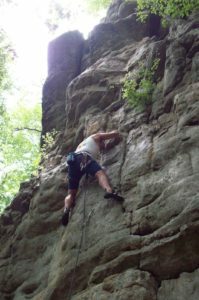 But, it wasn’t until the early 1990’s that Geoff Creighton put up some of the first sport climbs of the area. These climbs were a catalyst for what to Rigaud would be a transformation. Jerome St-Michel on What About Bob, 5.12a. 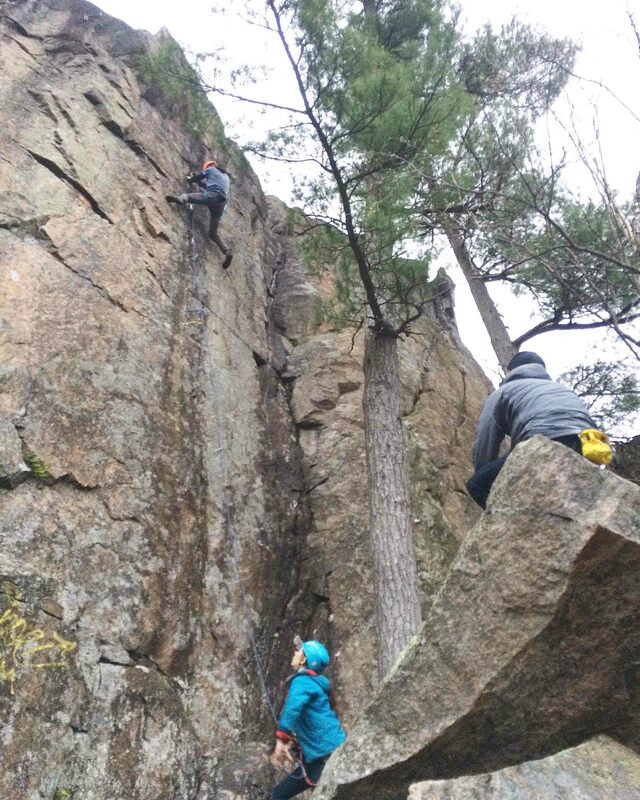 Sport climbing is now the norm for Mount Rigaud. 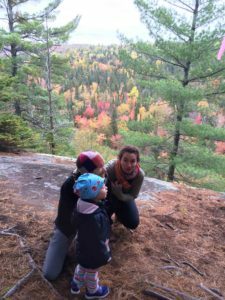 With just shy of 100 climbs most of these short sport climbs, it’s not a surprise that Mount Rigaud is very popular today. Almost everyone climbs here in their first years. 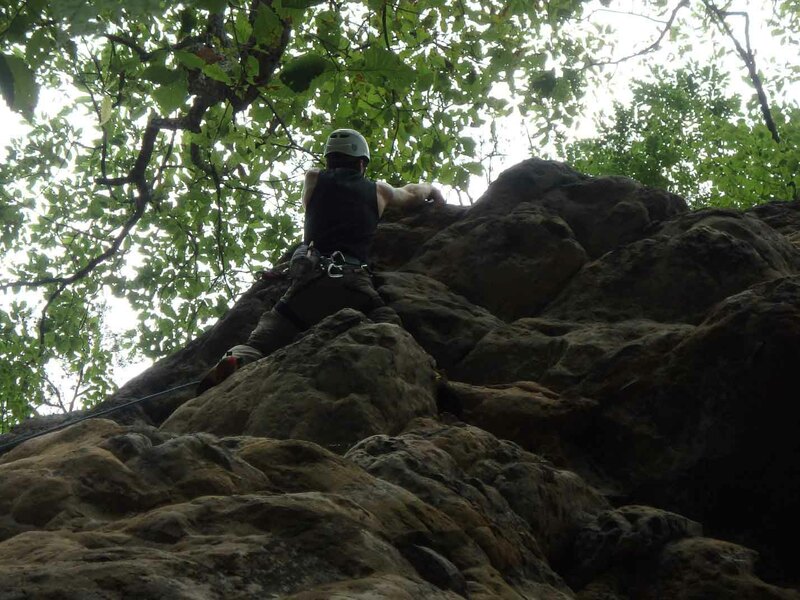 Most come back to grab the harder climbs or just for a bit of afternoon cragging. Now, thanks to the local climbers with support from the FQME, the older and dangerous hardware has been changed to today’s standard. And many more dangerous climbs have been made safer. Climbing at Rigaud is unique for the area. The rock is sharp. Holds are going to vary from monster jugs to small positive crimps with the assortment of sloping flats that you’re never sure if your hands won’t slip off. When the weather gets warm and humid it can feel slippery! 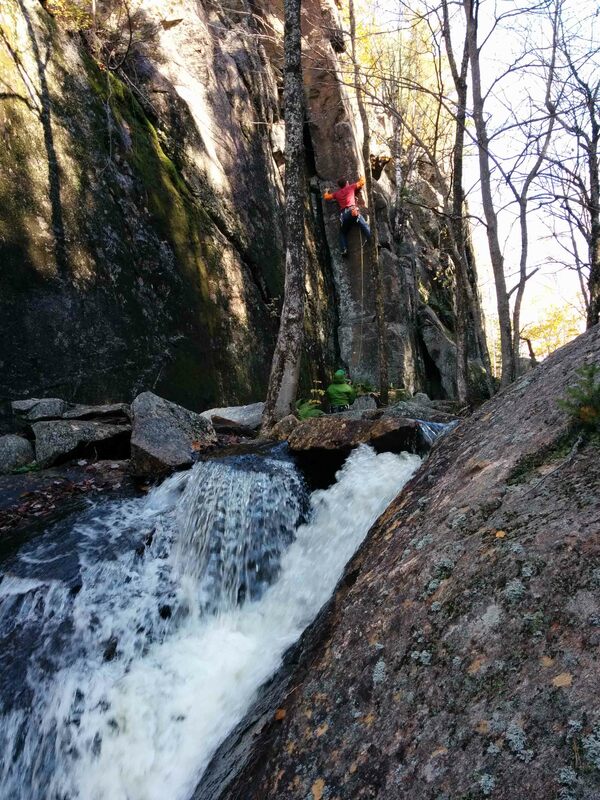 Olivier Lavoie on 40 Foot Smurf, 5.8. You’ll have to bring out a complete arsenal of techniques to climb here. 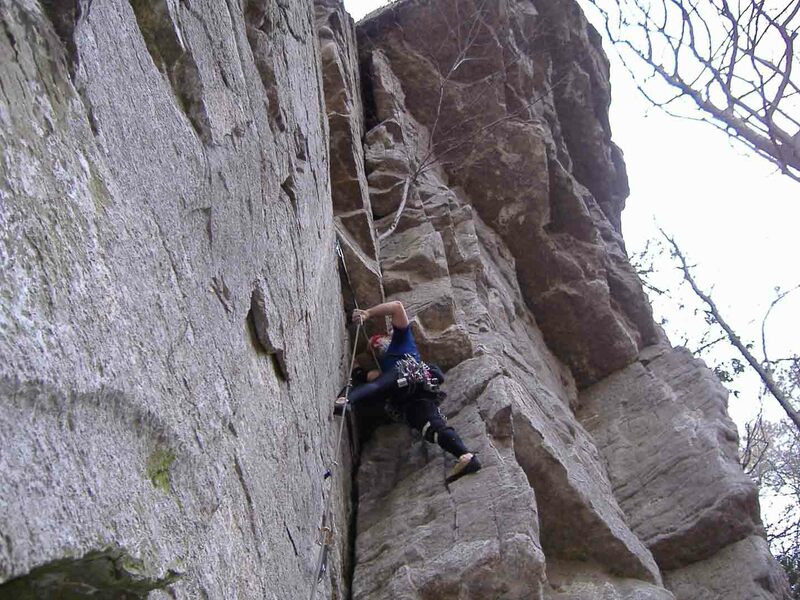 Angles vary from slabs to slightly overhanging with climbs sometimes having small roofs to pass. Harder climbs can be powerful and thin. A good reach is a plus at Rigaud and very rarely is endurance a factor. But you’ll often need good footwork and route reading skills. Onsighting is difficult if you are climbing at your limit. But, if you can do the moves, you can do the climb! 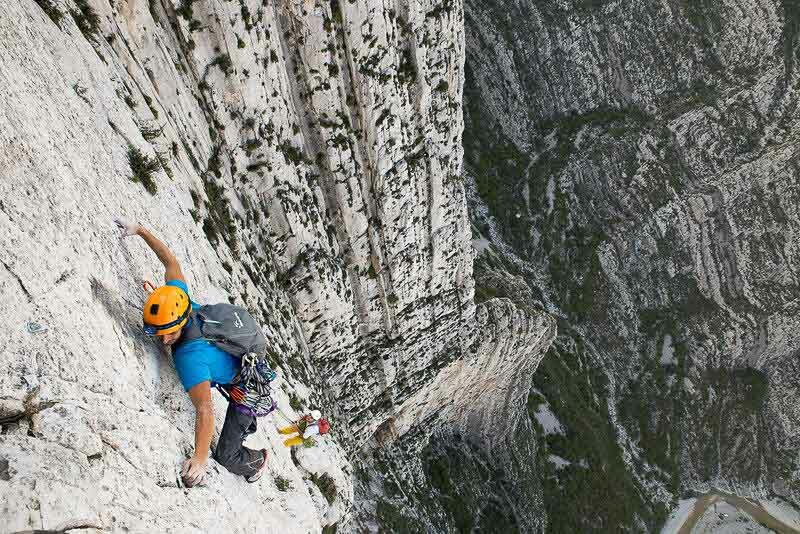 Peter Gernassnig on his climb Samson, 5.11b. 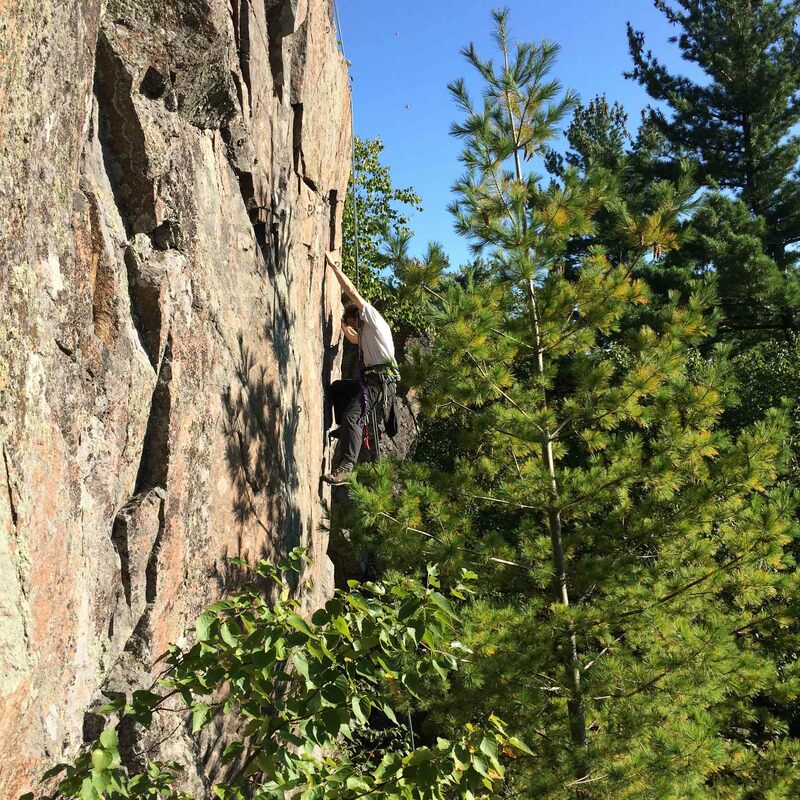 Close proximity to the city, easy access to the top of the cliffs and an abundance of easy to moderate climbs, these are all factors that make climbing at Mount Rigaud so popular. 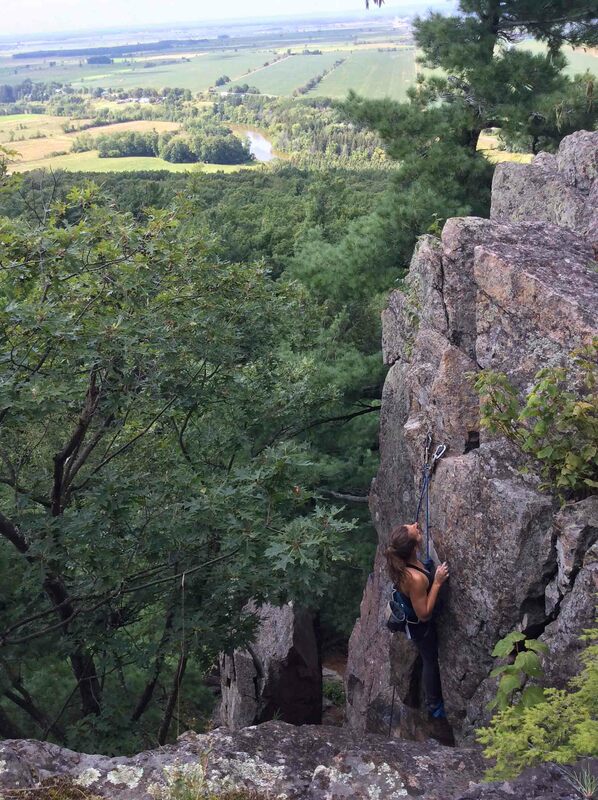 Add to that the great view of the Ottawa River valley, it’s easy to understand why people climb here. 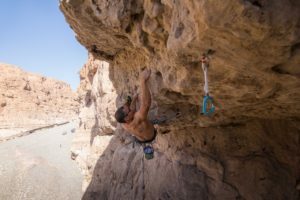 Buy Oman: Muscat Sport Climbing here or Oman: Sharaf Al Alameyn Sport Climbing here and save money versus purchasing from within our app. When people think of Arabia, they tend to think of big sand dunes with Lawrence of Arabia standing in a pose with his hand on his hip and maybe a falcon on his shoulder for good effect. They don’t think of the mountainous country that is Oman. 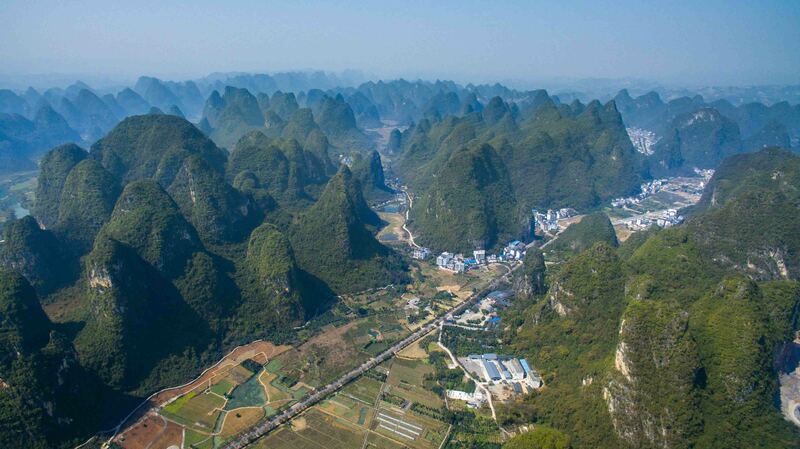 Peaks as high as 3000m and shear faces of up to 1000m, which should appeal to climbers everywhere. 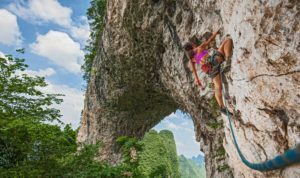 While it is literally covered in rock, due to the tectonic plates being pushed up from the Indian ocean, it is difficult to find good rock or at least the kind that appeals to sport climbers. Oman is, in fact, an incredibly beautiful country that makes for a great escape for those climbers stuck in European or North American winter weather. Pretty much guaranteed sunny weather all year round with ample amounts of climbing and other activities, it’s hard to think of why one wouldn’t consider coming to Oman. Historically speaking, climbing in Oman is relatively new. The first mention of climbing in Oman was when Frenchman Raymond Renaud climbed the aptly named French pillar in 1979 with siege tactics to tackle Jebal Misht (1100m). Rumor has it that the Sultan had a helicopter pick the team up from the top and whisk them off to a celebration to commemorate their ascent. While this seems unlikely, it wouldn’t be the first time something outlandish happened in the gulf. Renaud and other French guides have been coming to Oman ever since and indeed have been behind much of the early development. There were also a number of British developers as well. 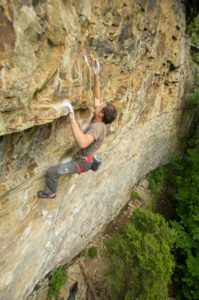 Jeff Horby for one, who developed many adventurous routes up Jebal Misht and elsewhere. 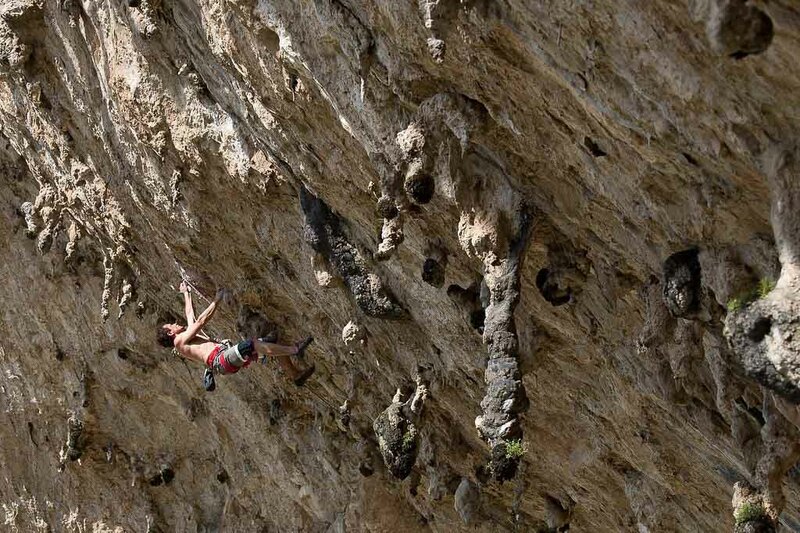 In more recent news, Oman has had several famous climbers come and climb and get media coverage. People may remember Alex Honnold’s visit to the coast doing some DWS. 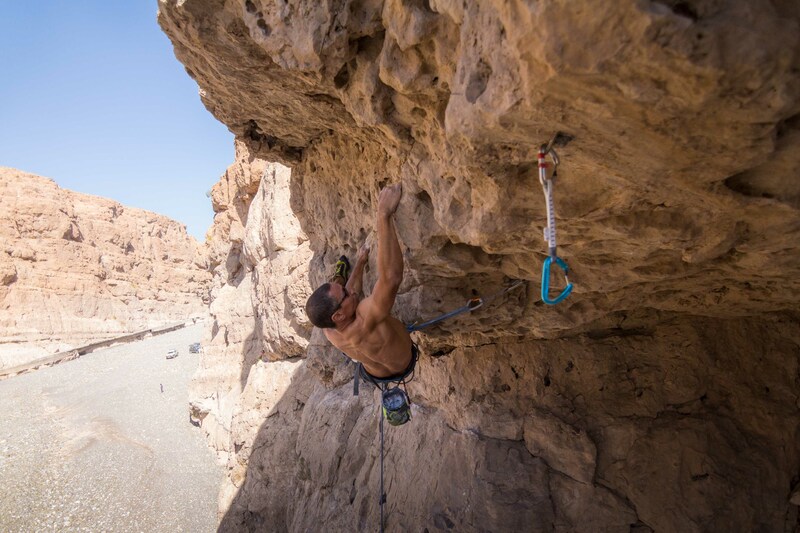 Along with Jimmy Chin, Hazel Findlay and Mark Synnott, they made a short film about their climbs in Musandum, Oman. 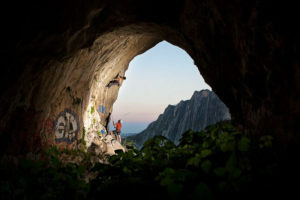 Interestingly many of these routes had already been climbed by a group of British climbers (Tim Emmett, Neil Gresham, Mikey Robertson and Seb Grieve) and local strong men Read Macadam and Toby Foord-Kelcey. 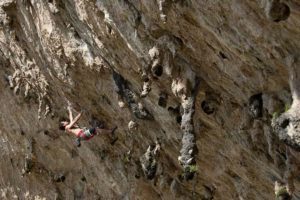 However, as far as sport climbing in the Muscat goes, it wasn’t until Patrick Cabiro and Nathalie Hanriot were commissioned by the Ministry of Tourism that Oman started to see its first modern sport routes (2008). 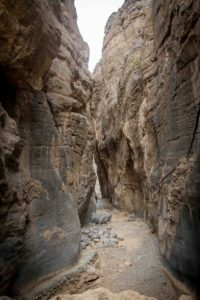 In fact, they were the driving force in the development of Wadi Daykiah and “La Gorgette”. They were also the first to bolt in Hadash. More importantly, they gave the impedes to local residents to start developing their own routes close to Muscat. 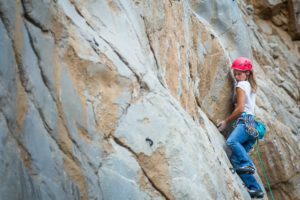 Enter Kim Vaughn and Bill Huguelet, two local residents keen to develop routes close to home, who developed several routes in Kubra Canyon. They spent a lot of their own time and money developing these routes. 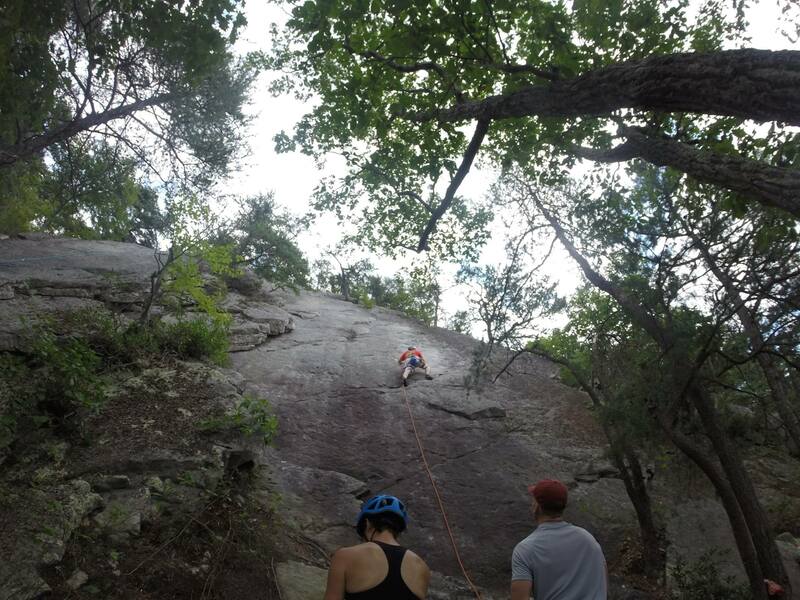 We have a lot of thanks to give to Bill and Kim as Kubra is still one of the best afternoon crags. 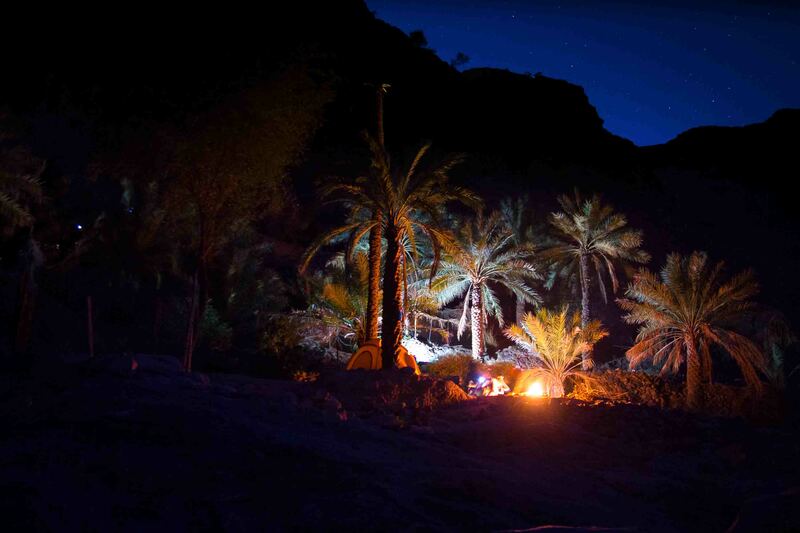 It’s also a great place to start your climbing trip in Oman with lots of moderates and a great bolted multi-pitch. 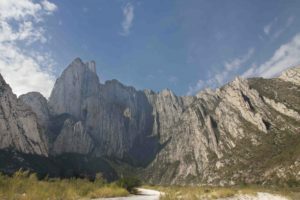 Bill and Kim first called Kubra “Secret Canyon” as they kept the development a secret from the now bustling climbing group. One weekend they surprised the group with a new crag! 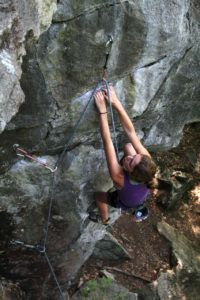 A nice surprise to a have an additional 40 some odd routes added to your climbing inventory. So in a few short years, Oman went from about 5 sport routes to about 80. 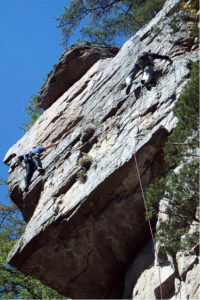 The only problem was that most of these routes were in the French grade 6 range (5.10). Very few 7’s (5.12) and no 8’s (5.13) had been developed. 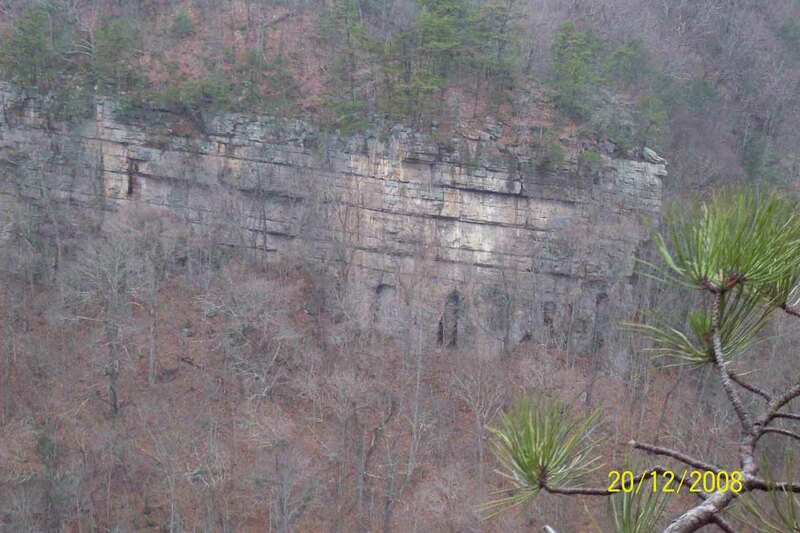 Not to mention one of the more picturesque crags (Hadash) was generally over looked. Here comes the Canadian influence, Read Macadam and Larry Michienzi. 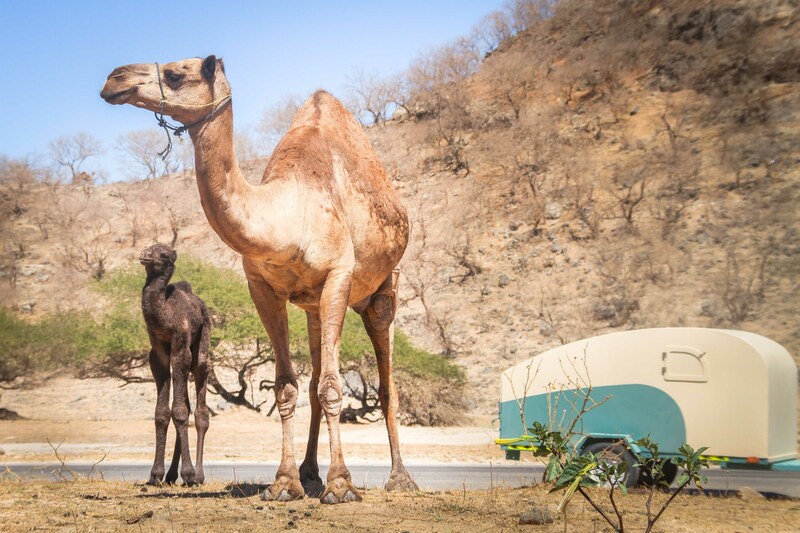 In a few short years Larry and Read started to develop Hadash to its fullest and easily doubled both the number of routes and a number of harder climbs in Oman. While Kubra and Daykia are home to some great moderates, Hadash is home to some of the hardest routes in Arabia and as the altitude of Hadash is 1500m it is a great place to climb from October to April. So while Kubra has some great moderates and Hadash has some great harder climbs Daykia is still home to the easiest approach (if you have a 4X4☺ ). 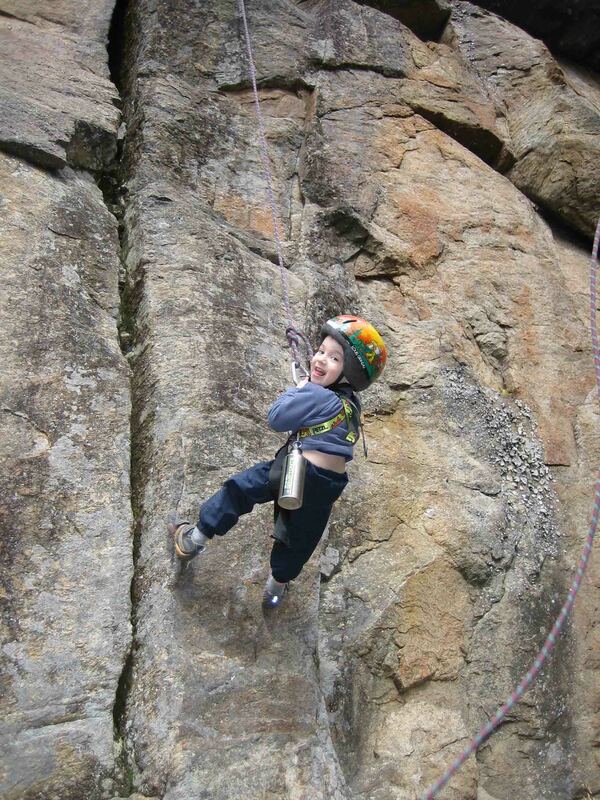 You can literally belay out of your car if you want. 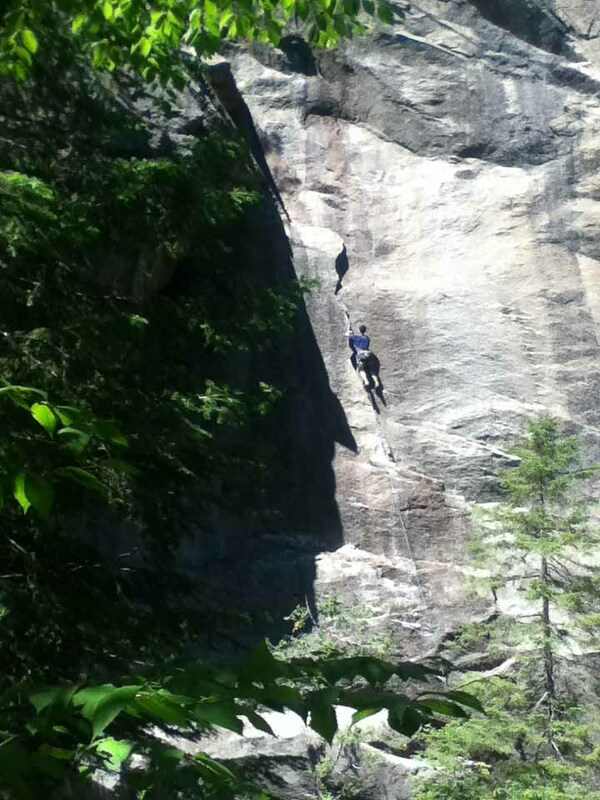 It also has some fantastic 6c’s (5.11a/b)! and some nice moderates as well. 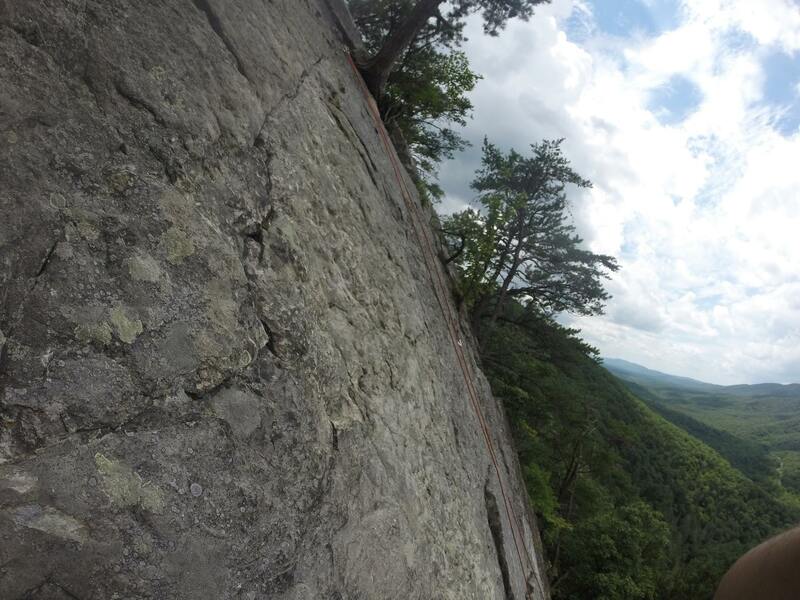 Check out the slightly run out Turbo barbeque (6c/5.11a) and Agath Exit (6c+/5.11b/c) if that’s your jam. Insiders beta: head to Daykia early as it goes in the sun by mid-afternoon and even in the winter it can be quite warm. Wadi Bini Alf is a scenic drive up a wadi that many tourists are drawn to. 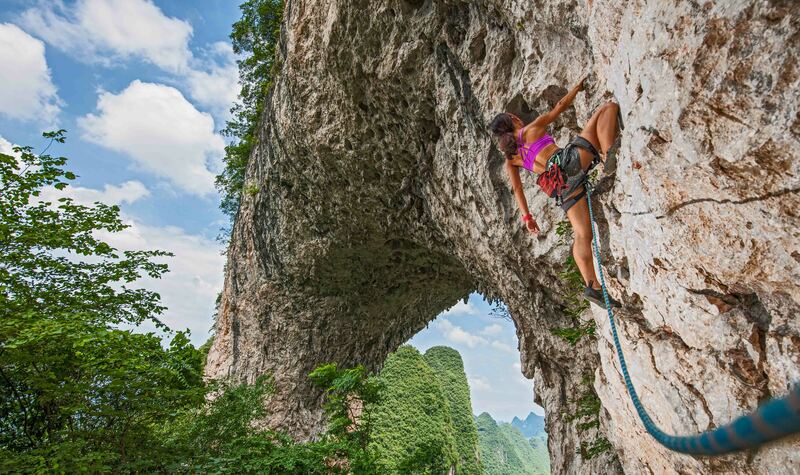 Climbers have the added benefit of some spectacular climbing as well. 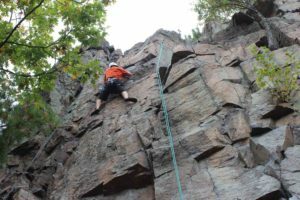 Not only is the climbing and scenery a huge advantage, so is the fact that many of the crags are quite accessible in the summer. When temps in Muscat and Dubai are near 50 C it is often in the mid 20’s at Wall of Shadows (afternoon shade) or Brikat Al Sharaf (morning shade). 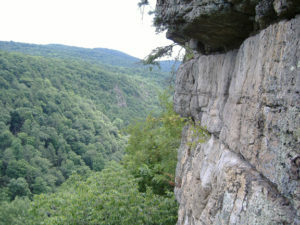 Depending on the season, certain crags are better due to the position of the sun. In the spring and early summer the Wall of Shadows and Brikat Al Sharaf are the best bet for cool temps. However, in the late summer and early fall Le Reef (afternoon) and Makhta Jaber (morning) are better for shade. As nice as it is to have these summer crags, La Gorgette is by far the cherry on the cake. A beautiful slot canyon with an amazing atmosphere and even more amazing climbing. 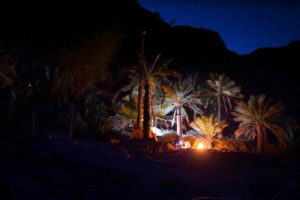 Walk to the end of the canyon to check out the quaint village of Balad Sayt and camp below the date palms for a full Omani experience. On rest days, take a walk down Snake Gorge (with either rappels, longer version or just pool jumping with the short version). This crag is best from October to March. 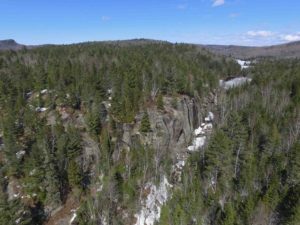 Interestingly, the crags are also divided by difficulty and while you can find a little of something for everyone at all of the crags, certain crags seem to be better for certain grades. 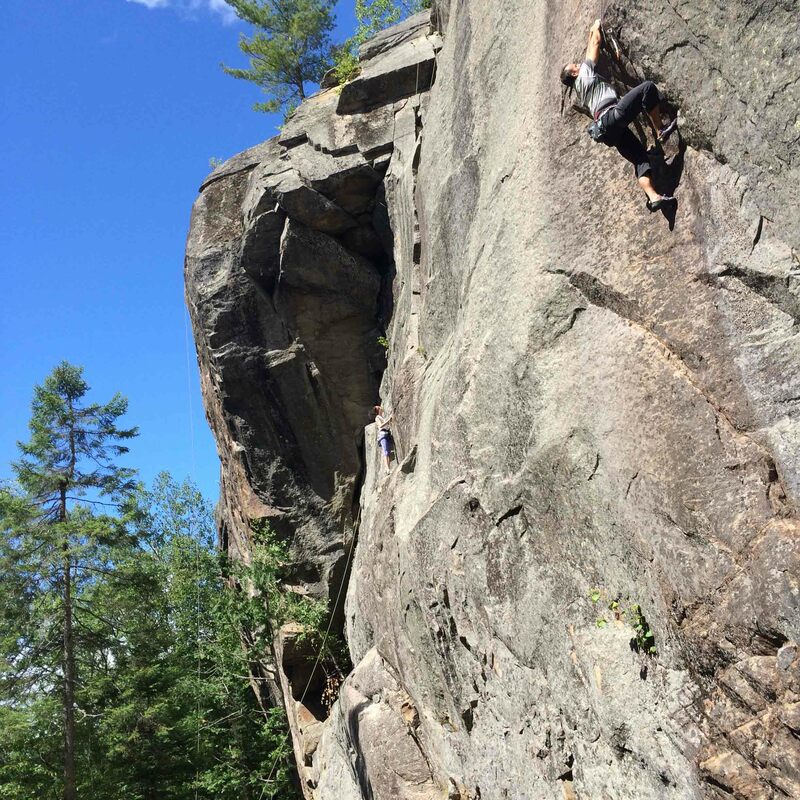 Le Reef and the Wall of Shadows have excellent moderates and beginner climbs but both crags also have a few harder climbs as well. On the other hand, Brikat and La Gorgette lean toward the harder end with many 7’s (5.12-5.13). In the middle, is the newest crag in Oman, Makhta Jaber which only has a few routes so far but with the kind donations of visiting climbers more routes are sure to appear in the guide in the near future. 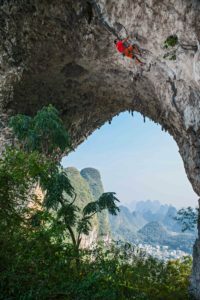 Two paper guides have been written about climbing in Oman. The Macdonald Guide (out of print) and a more recent guide also called ‘Climbing in Oman’ by long time Austrian climbing guide Jakob Oberhauser. While Jakob’s guide is very thorough it does lack the availability that an electronic guide can offer and also, while it has many details of the sport climbing in the area, it lacks some of the most up-to-date sport routes and topos. Of course, if it is multi-pitch climbing you are after, this is the guide for you. However, for those that want to do a little sport climbing in the Muscat area, this app is a very good supplement. Learn more about Larry Michienzi here. Buy Long Branch and Guide Walls here and save money versus purchasing from within our app via Apple or Google. It’s exactly the same guidebook, but offered at a lower price on rakkup.com. Climbers are a quixotic breed. 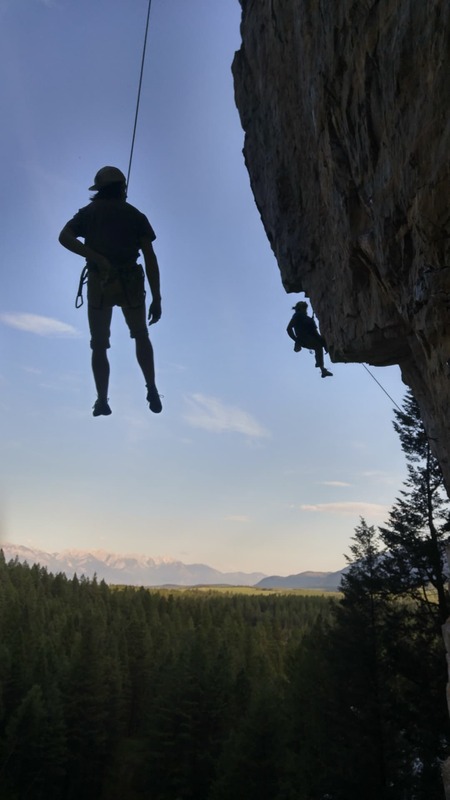 We are known to leave behind good jobs, family and loved ones to cross the country, camping in our cars or sketchy rest areas, pounding down twisting wash boarded backroads, living on fast food and cheap beer, bush whacking and hiking for miles, thrashing through thorns and stumbling across talus, to find great crags in unique settings. 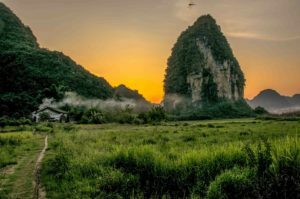 Truly great climbs and climbing areas both challenge and inspire; they motivate us to push the edge, to ‘rage against the dying of the light’, and they return us to that quiet place inside, where wonder still lives. These are the crags from which we return tired but renewed, exhausted and at the same time, restored. 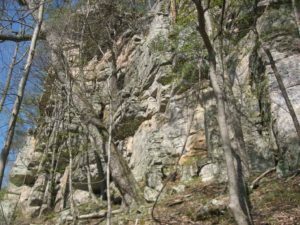 The east end of the Sunshine Wall on a fall day, as seen from the approach trail; these conditions can persist into the middle of winter. Photo by Mike Gray. 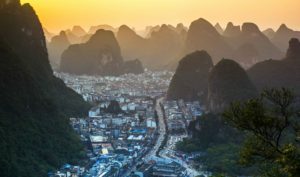 Some of these destinations require great expense, deprivation, epic approaches, and hardship of every kind for the lucky and determined few who scale their walls. 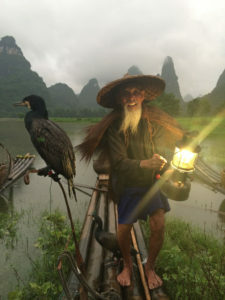 Others are tucked away, just around the corner, minutes from the main road, less than a morning’s drive from major cities, but somehow still lost to the masses; secret gardens to test strength, endurance, and mental control, in which we can, when day is done, find replenishment for mind, body and soul. 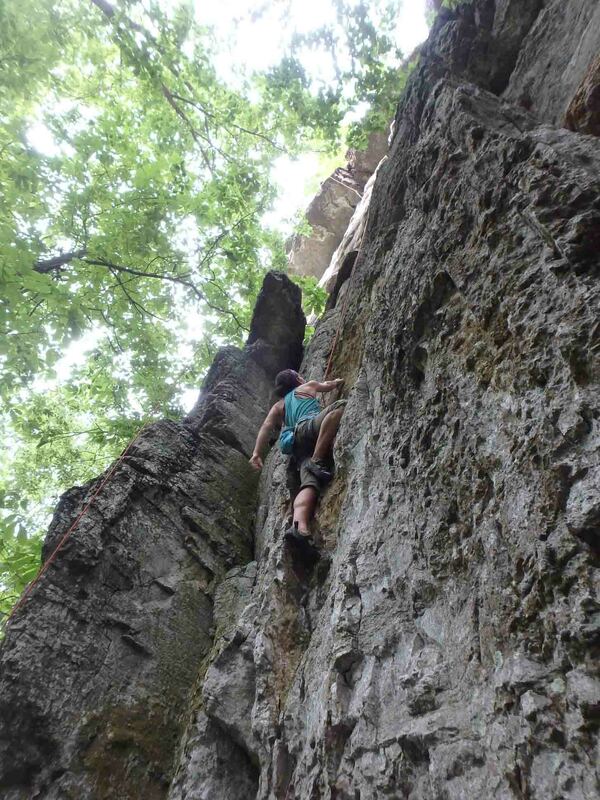 The crags that sit on either side of Long Branch, two miles downstream from Shreve’s little store in the heart of Smoke Hole Canyon, are the perfect setting for this dualistic pursuit of peace and adventure. Hidden behind a screen of trees and perched high on the ridge, the Guide Walls’ southern end was dubbed The Sunshine Wall for good reason. 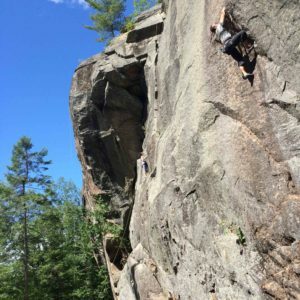 Here you can shed those layers and dance up lines like the long-distance 5.8+ Guide’s Arete, 5.9s Zendo, Funboy and The Never Ending Story, huck and crimp your way through the Guide’s 5.11 or George’s Dilemma, another great bucket tour that leads to a challenging 5.10 roof crux. 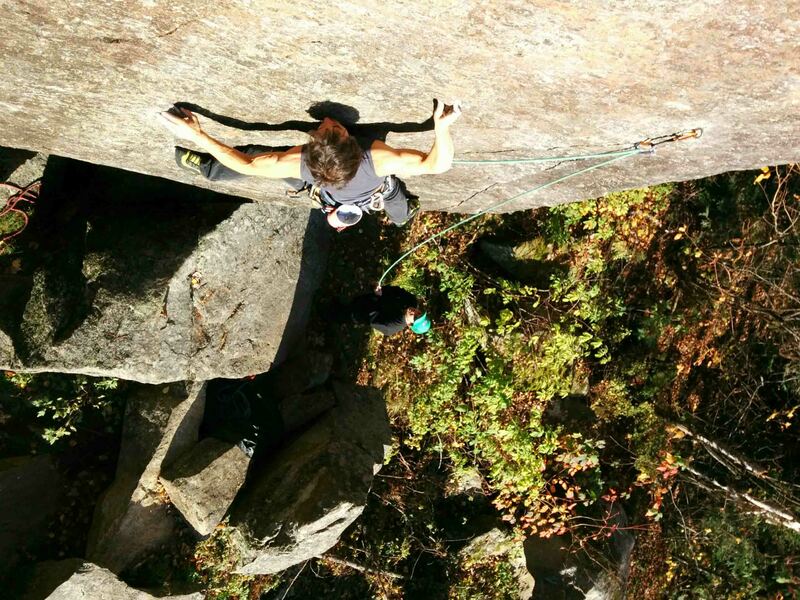 If you’re in the mood to test your roof technique, try the Macdaddy Roof; weighing in at 5.10d, this body-length overhang will tax even the strong for the bucket at the lip. 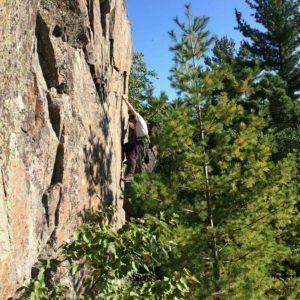 Around the corner, on the crag’s middle section and northern end, the east-facing lines of the Ninja Walls offer climbers both summer shade and a haven from winter’s cold, as leaves and temperatures begin to fall. Chris Beauchamp’s ‘Glossolalia’ kicks things off and Nick Kurland’s ‘Cu Rodeo’ ups the ante with thin holds on steep ground and a touch of run-out. Beyond these wait classic Ninja lines like ‘Destiny’ and ‘Hummingbird’, the 5.9- trad headpoint “Name Your Poison’ and mind-boggling roof of 5.10c/d ‘Carpe Diem’. For a final burn of all remaining rounds, hike out to the north end and jump on crusher Mike Fisher lines like ‘Slight of Hand’, ‘Defenders of the Faith’, or Chris Beauchamp’s thuggish ‘Pon Hoss’. 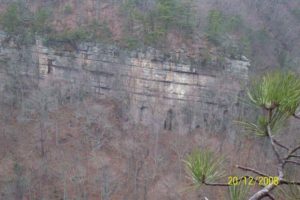 On the south side of the creek, Long Branch is home to some of the tallest faces, as well as some of the most difficult technical lines, to be found in the canyon. 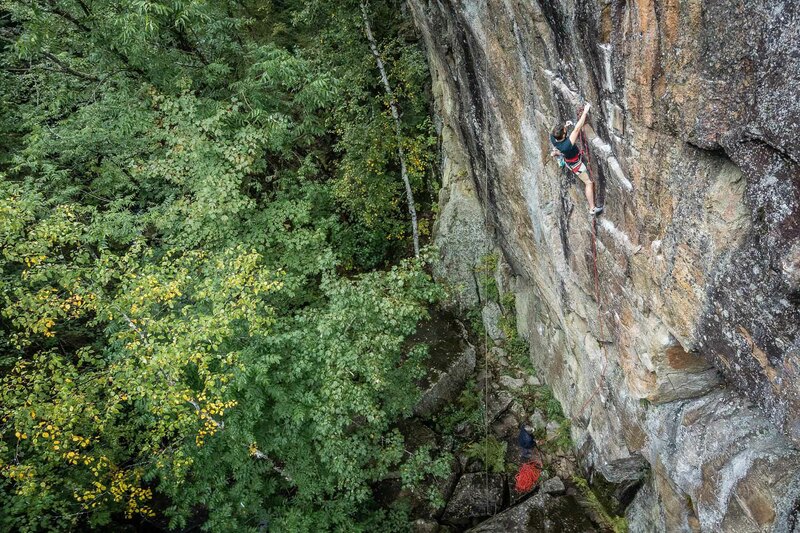 Tom Cecil’s world-class ‘Beautiful Loser’ checks in at a sustained 5.11 with 9 well-spaced bolts, nearby ‘Shattered Illusions’ requires a full bag of 5.10 tricks over the course of 11 bolts and a V-slot through a roof, while ‘Big Johnson’, ‘The Ron Jeremy Arete’, ‘The Darkness’, ‘The Lightness’, ‘Gone Sniffin’’, ‘Local Hospitality’ and Parker Smith’s new addition ‘Shorty’s Lament’, all lay solid claim to territory at 5.12 and above. 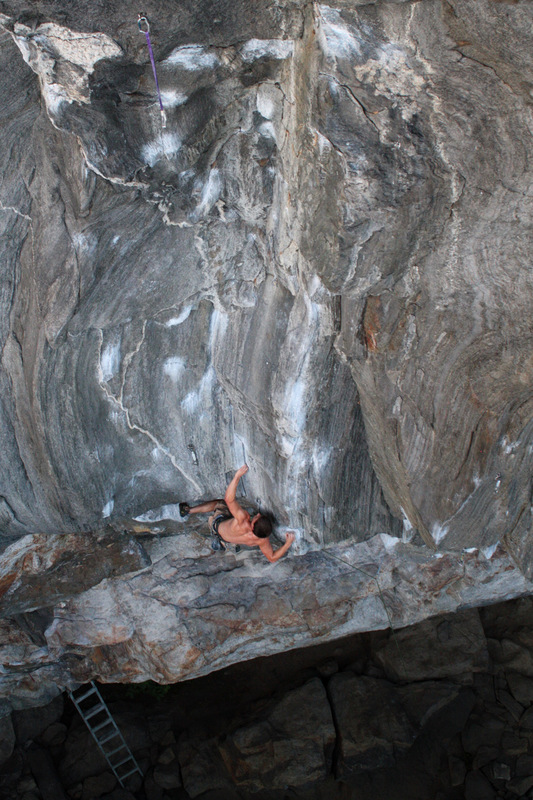 Michael Fisher cruising the bomber moves and stone of ‘Destiny’, one of the original lines at the Ninja Walls. Troy Johnson and I first came here in the very early 90s, at the invitation of Darrell Hensley, the Seneca Rocks guide and WV native who explored Smoke Hole and climbed here before most people knew the canyon existed. Franklin Gorge, where we had all been climbing for years, was filling up with people and the number of new routes left for development was down to maybe a handful of good lines and a dozen or so more mediocre routes. Troy and I drove up to Smoke Hole on a windy, rainy day, waving at Franklin as we passed, grabbing coffee at the Shell station at the light, then rolling up 220 through pastureland and river bottom farms. We stared up at Reed Creek and wondered again if the “No Trespassing” signs were bogus (it turned out that they were, but that is another story), waved at the old men of the Liar’s Club, drinking coffee on the bench in front of Kile’s Grocery in Upper Tract, and turned off just before the old iron bridge. We rounded the curve, crossed the hill by the old Alt farmhouse, and dropped into wonderland. Cliffs rose up on both sides of the river, the nearest just ten feet from the car windows as we stopped to stare up at the huge roof of the Entrance Walls. Another shower drove us back into the car, and hid most of Eagle Rocks and the French Fin from our gaping view as we passed. 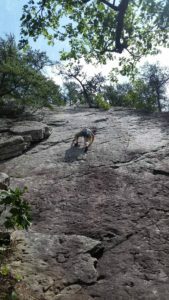 Tyrel Johnson fighting the good fight and looking for Zen on the steep Mike Fisher route ‘Defenders of the Faith’ (5.10d), at the Ninja Walls. Eventually we reached Shreve’s Store, got our bearings, and had almost returned to sanity when we dropped into the lower canyon, and saw that all that had gone before was just a prelude. We gibbered. We pointed, craned our necks and pointed some more, making nonsense noises and banging our heads on the windshield, spilling coffee. 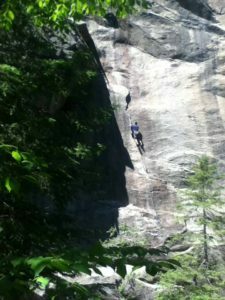 Two miles beyond the store, we reached the destination Darrell had described and a breaking point at the same instant; parked, grabbed water bottles, and scrambled madly up the talus slope leading to the base of the Long Branch Buttress. After half an hour of absolutely speechless wandering, we nodded to each other, returned to the car, and headed home to gather allies and supplies. Troy came back and bolted “Local Hospitality’, ‘Big Johnson’, ‘Pigs on the Wing’, and began the task of ground-up bolting the visionary project that would eventually become Mike Farnsworth’s ‘The Lightness’. He took off from the start of my mixed route “Through the Looking Glass’ and gave us the superb 5.11 ‘Pigs on the Wing’. Rachel Levinson and Melissa Wine joined us, as did Mike Fisher, Greg Fangor, Chris Riha and a host of talented climbers from the Shenandoah and Albemarle valleys. Together, the group of us cleaned and put up ‘Shattered Illusions’, then Melissa and I produced ‘Hippo Head’ (the wall’s first all-female FA by Wine and Levinson), ‘Batteries Not Included’ and ‘Overtime’. Taking a break from developing routes on the far side of the creek, at the Sunshine Wall, Tom Cecil, Tony Barnes and Darrell came over to bolt ‘Beautiful Loser’ and Tony’s mixed 5.10 line in the cave to the left. Mike Fisher had dubbed our group the Five Deadly Ninjas, a tongue-in-cheek nod from his deep love of Kung Fu theater. Troy, Rachel, Melissa, myself, and Mr. Fisher decided that we needed a look at the walls they were developing on the other side of the creek, and the classic lines of the Ninja Walls were born in the following months. Mike Farnsworth, on the crux of “The Lightness”, 5.12d, Darkside, Long Branch Buttress. Life went on, our little crew drifted apart, and I moved off to the west. 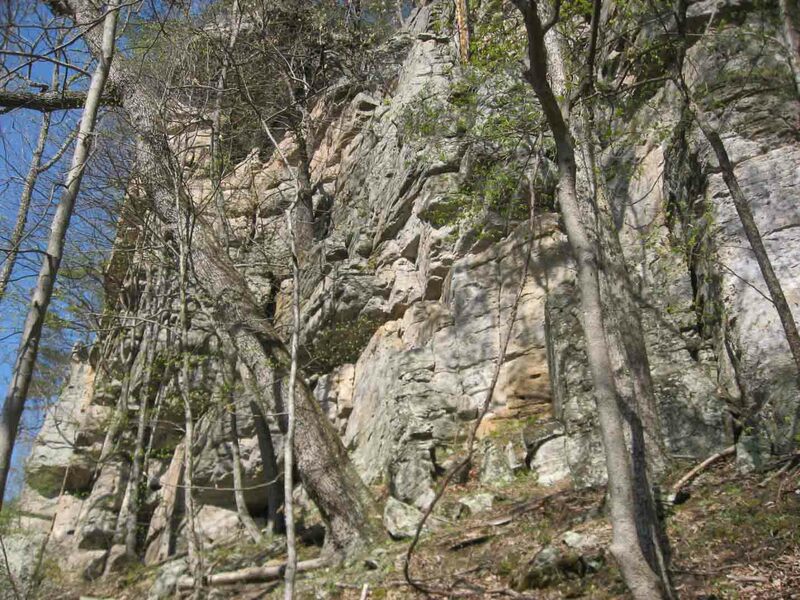 I would call Mike Fisher on my occasional trips home, and we would invariably wind up at Smoke Hole for a climb or three, plotting on the remaining lines in this apparently forgotten corner of West Virginia. In 2003, I returned to the Valley, and we put up Funboy and Zendo on an overlooked ledge at the Sunshine Wall. Four years later, we bolted and led the routes of the Corvinus Cave, at Long Branch. 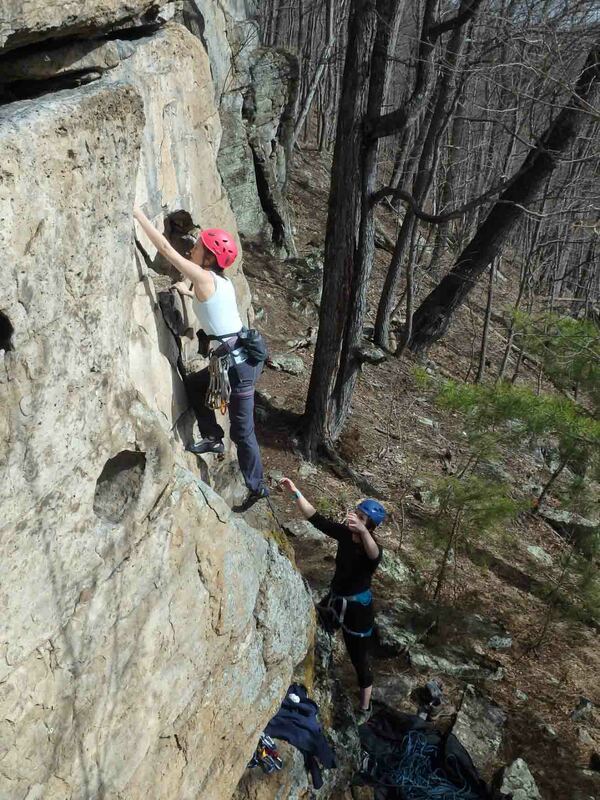 A recent surge in activity saw four new lines at or above 5.12, bolted and led by Michael Farnsworth, the guy who conquered one of the steepest routes of Seneca Rocks. 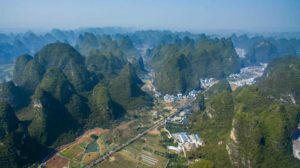 Added to the already impressive set of routes in place, you have an area to test the mettle of climbers from around the globe. Mahtaab Bagherzadeh eyes the long road ahead, facing the first of many cruxes on ‘Shattered Illusions’, the longest 5.10 on the Long Branch Buttress. Photo by Tyrel Johnson. But don’t worry, moderate climbers and fun seekers… there’s still plenty of good times to be had, with enjoyable lines tucked in amongst the test pieces and enduro routes. 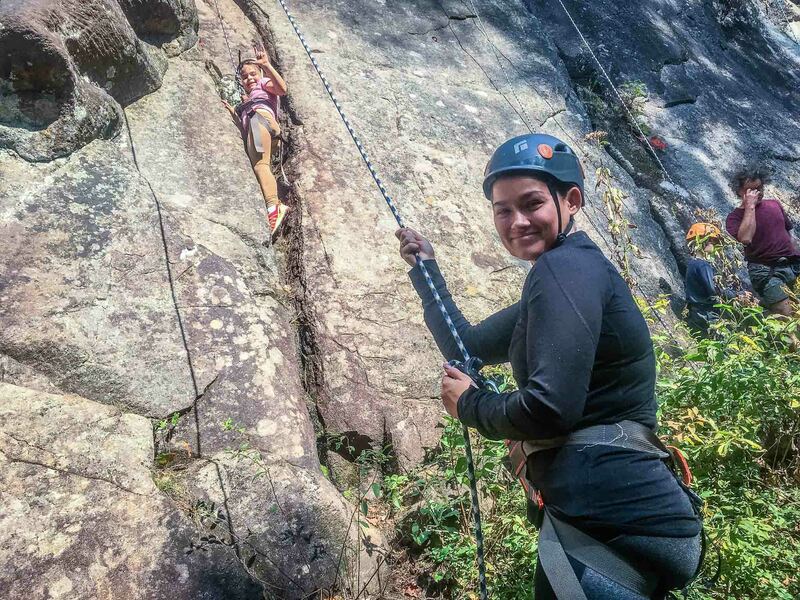 Smile your way through sport warm-ups like ‘My Silver Lining’ (5.7), ‘Lost World Arete’ (5.7), or ‘Batteries Not Included’ (5.8+), mix things up with bolt and gear offerings like the 5.8 ‘Through the Looking Glass’, or take a break from the bolts and pull out the whole rack for the long trad adventure of 5.7 ‘Cherry Lane’. Although the road is a bit bumpy, and even dusty and blessed with more than its share of potholes, from the crags of Long Branch and the Guide Walls, climbers are still less than an hour from hot food, showers and all the comforts of modern life. Volunteers are constantly working to protect access, maintain the trails and improve old routes with new hardware. Racked up and ready for ground-up adventure; the author clips in for the first ascent of ‘Cherry Lane’, 5.7, Darkside, Long Branch Buttress. No bushwhacking, no epics, no ‘scene’, just great lines of all levels on great stone, a zen garden in which to find a bit of peace and quiet, in the beat of your heart, in the heart of the canyon.